Around the world you get to see chirer pulao prepared in different ways but the typical method of preparing is mostly indian. It is a high protein food that is good for any occasion. 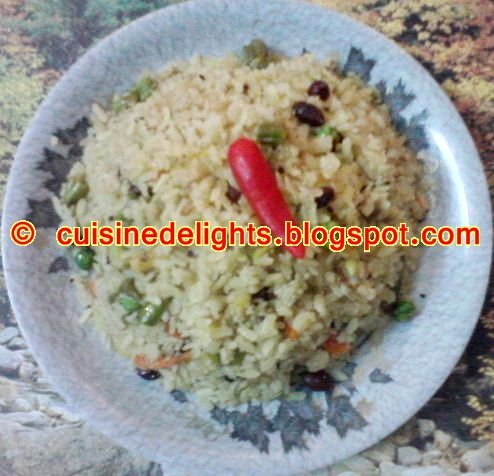 The rich feel of the chirer pulao makes it a favorite breakfast for many. •Fry raw peanuts in oil and set aside. green chillies. Stir for few more minutes. You can increase or decrease the chillies according to your taste. •Now add vegetables and chire/poha to the onion and mix them finely. Add the fried peanuts, turmeric, sugar and season with salt. Give it a good stir for about 2 to 3 minutes. •Garnish with red chilli and serve hot.